17 cm tall (6.5 inches). 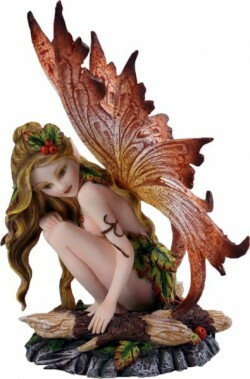 Amazingly detailed collectable statue of the Seeker fairy. Vibrant wings made from flexible material to avoid damage. Statue made from a weighty stony resin. Exquisite detail on the rocky base. From the Dream Fairy Collection.